Welcome to fitbase - your digital health platform! Nutrition – healthy and delicious! Welcome to the fitbase prevention courses! 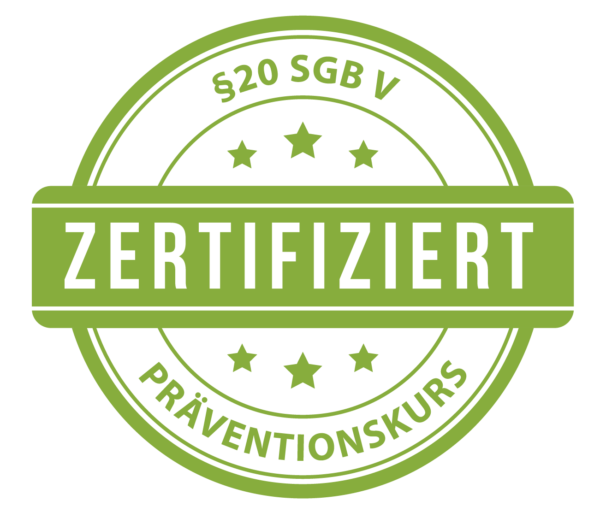 All courses are certified by the “Zentrale Prüfstelle Prävention”, a German inspection authority for prevention courses and meet the quality criteria. Whether it is physical activity, nutrition, stress management or back health – at fitbase we have a suitable course for you. All fitbase courses have a duration of 8 or 10 weeks, and in addition, you have a “buffer time” of 4 weeks for illness, holiday or related. The courses are accessible to everyone and designed to allow you to start immediately. Don’t miss a unit with our reminder function! These prevention courses are certified by german law. German health insurances refund the costs up to 100%. Choose your health insurance and we show you, how much reimbursement you can receive. Fitbase back health online - Finally painless for life! The fitbase Online Back School accompanies you through ten exciting topics, all dealing with your back health. We guide you towards a lively lifestyle and help you integrate new habits into your everyday life. A holistic approach is concerned with dealing with mental stress, as well as with physical stress . According to the anatomical principles of the back, you learn back-health behaviors, get tips for ergonomics in your workplace, and observe the connections of stress and back health. This online course grounds a concept for a healthy back. You have always full access to all contents of the course unit and you can monitor your personal progress. Stress and Relaxation - Finally a stress-free, everyday life! The course “Stress management und relaxation” includes three modules. In the beginning, you will learn the basics of relaxation and the observation of your own stress behavior. You will learn strategies to reduce your own stress and stress-enhancing patterns of thinking, and in the end being able to cope with stress in a more efficient way. The last course units deal with regenerative measures. Sport, exercise and various relaxation methods are at the forefront. Course duration: 10 weeks, 1 course unit per week. Each course unit contains a theoretical part, practical exercises and final relaxation exercises. Fit & Active training - Become fit and more active! Within the fitbase online course Fit & Active Training, you will learn the consequences of physical inactivity for the human body and how it can be counteracted. We also deal with various topics related to training. You will find out which types of training are best suited for you and what you should pay particular attention to when exercising. Become fit & active! We are here to support you! The fitbase online training Fit & Active Training helps you, in the long term, to create new exercise habits and to make your everyday life more active. Course duration: 8 weeks, 60 minutes per course unit. Each course unit contains a theoretical part, practical exercises and final relaxation exercises. With the online Mindfulness course, you will learn a new competence in stress management, and increase your life satisfaction. In this course, we will provide you with practical exercises and information on how you can escape the behavioral patterns that you have already experienced and to be more self-determined. With this new competence, you will further develop your personality, gain higher performance and concentration capacity, as well as life satisfaction. In addition, you will learn about various relaxation methods that can help you effectively balance stress reactions and lead a more relaxed life.Train your mind and learn to pay better attention to your body! With the fitbase online course Mindfulness online you can achieve more joy and better performance. Free your mind – we are here to support you! Course duration: 8 weeks, 60 minutes per course unit. Each course unit contains a theoretical information section, guided exercises, as well as tips & tricks for increased life satisfaction. Nutrition - healthy and delicious! Food and nutrition are two complex areas. The online “Healthy Nutrition” course provides you with comprehensive information, practical tips, and recipes including cooking videos regarding a balanced diet. You will also be accompanied by a nutritional diary to critically examine and improve your own dietary habits. The acquired knowledge from the course “Healthy Nutrition” can be implemented directly into your life. Only those who apply their nutrition knowledge are nutrition competent! Do you want to eat healthy, but don’t know how to do it in the long term? In this nutrition course, you will learn the basics. Do you often experience very stressful situations? Do you already feel the negative effects of too much stress? Learn how to reveal sources of stress, what kind of exercises and techniques are helpful to relax, when facing high amount fo stress, as well as how to toughen your body against stress. Our holistic concept involves different solutions for managing stress. It includes workout exercises, relaxation exercises (also with audio), as well as an individual 1:1 phone coaching with qualified experts. Use our relaxation exercises at work, at home or on your way to decrease stress successfully. Because of the online feature, you can use all content on your smartphone. Duration: 12 weeks, each week a new course unit gets unlocked. Receive a refund up to 100%! you decide when and where to take part. Suitable for both beginners and advanced users. Great variety of exercises and a reminder function! Release pressure from your back and yourself! Let your stress go and become more relaxed – at work and in everyday life! Finally feel healthy and vital again! Prevention courses are health courses, which meet the criteria defined by the top association of the statutory health insurance funds according to the German prevention act. The aim is to ensure the uniform quality of preventive services. 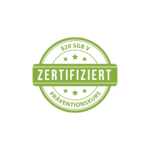 The examination of the courses is carried out by the “Zentrale Prüfstelle Prävention”, a German organisation, which was established by a co-operation association of the statutory health insurance funds. This community currently insures nearly 90% of all persons with public health insurance in Germany. The aim of the prevention courses is to provide the participants with health competencies which they can implement in their daily lives. In 2015, approximately 71% of all health courses fell into the subject of physical activity and approximately 25% were stress management courses. For this purpose, the health insurance companies spent more than € 200 million in total. Do something for your health – with the support of fitbase and cost reimbursement by your health insurance! What amount will be covered by my health insurance? Generally, the level of subsidy is between 80 and 100%. For the exact amount of your reimbursement, please ask your health insurance; also ask to receive the appropriate documentation which you have to fill out. For many health insurance companies, submitting the documents is possible online. If you have completed the last session successfully and clicked the “Done” button, you can download and print out your participation certificate. Please check if all the details in the certificate are correct and complete the missing information on the first page. Then send the form together with the invoice about the course fees to your health insurance and get your money back in full or partially. I already took another prevention course this year, can I still participate in the fitbase prevention course? You can participate in any case! If your health insurance provider reimburses two preventive courses a year, you will also receive a reimbursement for the fitbase online course, as it is a certified course. How many times do I have the right to take part in a prevention course? What about privacy? Will my data be passed on to third parties? What data of mine are collected? We use the following data to issue a confirmation of participation at the end of the course: first and last name, address, e-mail address, and date of birth. Your entries in the diary and the number of completed health units are only stored to create user statistics and provide you with technical support. In addition, your responses to the health issues of the optional back check, fit & active or stress test are stored and are only visible to you. In no case will we transfer your personal data to third parties!